We often hear of the novel that sits ‘under the bed’ for years, and in most cases, that is where it stays. I know that I have one of those (it really is under my bed, it’s called ‘The Age of the Fish’) and whilst mine got me an agent and was read by publishers, I have no idea if it will ever make it out into the real world as a book. But in Sharon Zink’s case, that novel sat in a ‘virtual drawer’ (that is, on her computer’s hard drive) for many years. However, it was this novel that led to her eventual publication by Unthank Books and this glowing reference in last week’s Guardian newspaper, as Zink was a close contender for the longlist of the Guardian first book award. 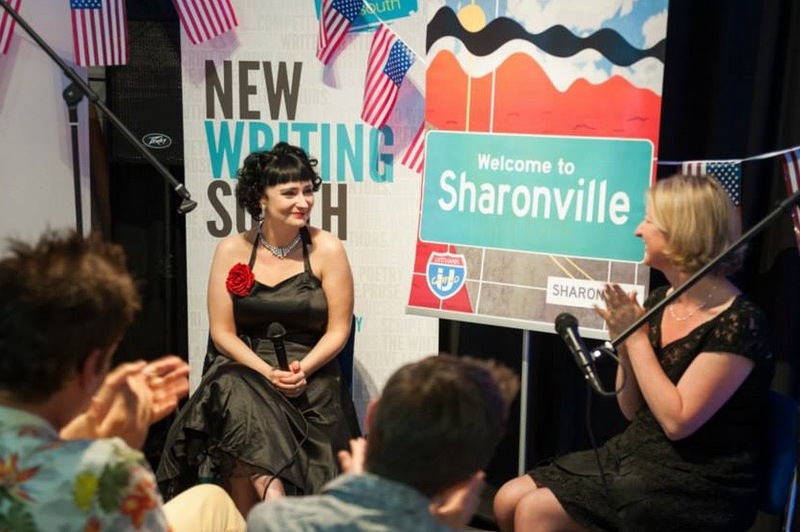 Her novel is Welcome to Sharonville and no one could have been more delighted than me (or OK, perhaps Sharon) to see it published. So how does a novel that has sat in a virtual drawer for years finally make it to publication? I’d like to explore how this happened for Sharon and to break down the elements of her publishing success story so that all writers can learn from her experience. I first met Sharon online when she approached me via this site, seeking a mentor. I remember reading about her background and being immediately impressed with all she had already achieved. Zink describes the early stages of our working relationship beautifully in her recent article on the Unthank site: Everyone needs a Yoda – or why mentors matter. I am of course very flattered to be Sharon’s Yoda (not least because I’m currently enjoying re-watching the Star Wars films with my teen daughter and like to think that the force is with me) and the comparison always brings a smile to my face. If you’re interested in the mentoring process, do read Sharon’s article or check out how I work here. So what can we all learn from Sharon’s success – what did she already have before we met and what did our work together enable? Firstly, Sharon already had talent. At some level, she must have known this. Aged seventeen she won Shell Young Poet of the Year with her first collection ‘Rain in the Upper Floor Cafe’. Since that time, she had gone on to study for her M.Phil. at Cambridge University and to complete a PhD under Lisa Jardine in London. She had already written her novel, at the time simply entitled ‘Sharonville’. But why had ‘Sharonville’ been in that virtual drawer for over two years? 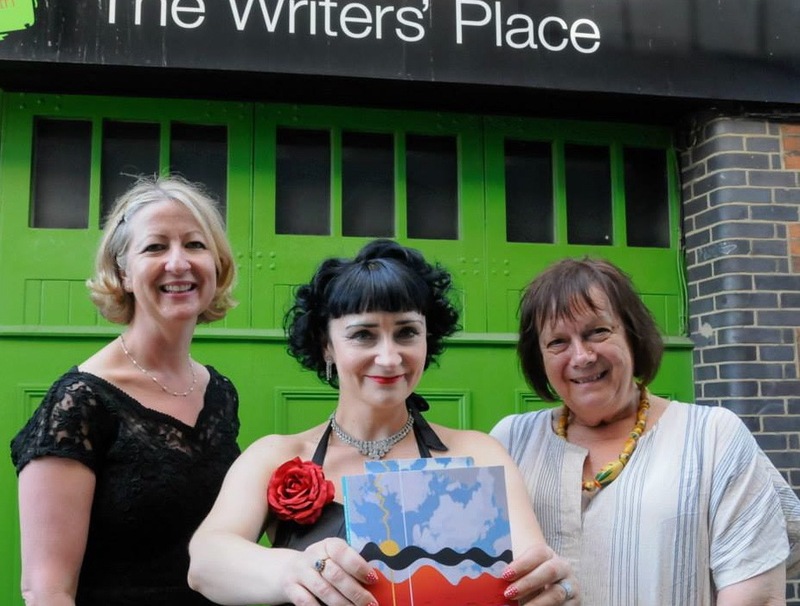 When I first spoke with Sharon, I don’t think she really believed that we would one day be standing outside ‘The Writers’ Place’ in Brighton, celebrating her launch – but it’s certainly an outcome that she would have wished for. So why did publication of her novel seem like such a far off dream? Sharon had got to the point where sending out her novel had become difficult. Part of our work together was about enabling Sharon to truly believe in her own talent. As Sharon’s article explains, I was pretty impressed with her work! (I compared it to the work of one of my heroes Paul Auster.) This is a remarkable novel and one that I urge you to read. This book contains an interview with John Fowles, which hugely influenced me as a young writer. However, in our work together, Sharon and I discussed ways in which the novel could become stronger still. Sharon is a brilliant prose stylist, but this was such a powerful character piece that I felt sometimes we lost the thread of the story, so I encouraged Sharon to make several judicious edits to ensure that the storyline remained compelling. If you’re wondering how you know which edits to make, given that you may receive contradictory advice, I’d say that in the end, you have to go with your own gut – ask yourself what advice resonates with you. Sharon was close to being ready to submit (in terms of the quality of the work) but there’s no point submitting before you are absolutely certain the work is as good as it can be. In Sharon’s case, there were twelve years between conception of the novel and her final publication, so it’s important we don’t kid ourselves that this is an easy journey. Rather, I believe it is vital that we take our writing and our development as writers seriously. It may not take you twelve years, but I do suggest that all writers take every possible opportunity to learn their craft, through creative writing classes and groups and reading great books about the process, including writers’ ideas on their work. I was lucky enough to hear some of the interviews in Writers in Conversation Vol.5 live when I studied creative writing at UEA and many of these ideas have stayed with me throughout my writing career. So what did Sharon already have, besides genuine talent? In fact, though she might not have recognised it, she was already good at the persistence game. She had lost some confidence, yes, as many of us do along the way. 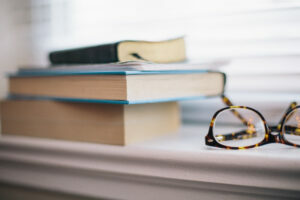 But she had completed the novel, she had asked for editorial advice – and now, despite the hiatus, the urge to bring her work to a readership remained. She took another step and approached me as a mentor. Somehow, inside, she knew that her work and her identity as a writer mattered to her and she couldn’t let it go. In order to succeed as a creative artist, you have to have an absolute tenacity that never deserts you even when you have setbacks. You have to have a hunger to be the best you can possibly be and also to tell your story, to get your words out into the world. When I write, the story is always uppermost in my mind, and I feel that everything else must be sacrificed to it. All the elegant passages, all the curious details, all the so-called beautiful writing – if they are not truly relevant to what I am trying to say, then they have to go. It’s all in the voice. You’re telling a story, after all, and your job is to make people want to go on listening to your tale. Auster’s wisdom about writing is beautifully captured in this series of interviews and essays. Finally, I got tough with Sharon about self-belief and the importance of submitting, submitting and submitting again. As my writing buddies and I often say to each other, ‘it only takes one’. Or two, perhaps. One agent, one publisher. Two people need to ‘get’ your work and want to put it out into the world. And if we hadn’t found those two people? I would have encouraged Sharon to self-publish brilliantly. These days we can take ownership of publication and make a huge success of it. If you are getting rejection letters that praise your work, you know you are getting close. Do they contain advice? Anything you can work on? An encouragement to return to that person with your next work? One of my clients famously declared that she intended to paper her bathroom wall with rejection slips. Suffice to say, she got some serious agent interest early on. I am no stranger to literary jealousy and I’m sure that Sharon isn’t either. In this digital age, we are constantly bombarded with images of other people’s success. It is vital, however, that we see this successes as inspiration. Sharon waited twelve years for this launch party and damn well deserves to enjoy it. 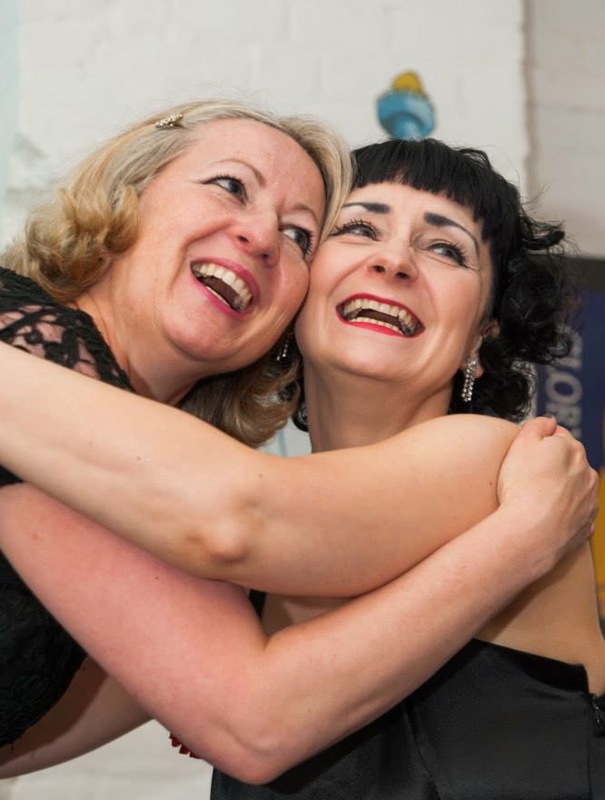 I wish I could have shown her this picture of the two of us hugging at her launch on the day that we first started work together. I couldn’t. But here it is. I hope that it inspires you to do your best work, to believe in yourself and to persist with those submissions. What is your dream for your own creative work? What do you need to do to make your work as good as it can be and to get it out into the world? Do share in the comments: I’d love to hear your thoughts. Receive Jacqui's free ebook Get Black on White: 30 Days to Productivity and Confidence for writers. Anna Bright never wanted to write a novel. At least, that’s what she tells herself. But a chance encounter with a famous novelist and a surprise gift of an art book cut a chink in Anna’s resolve. The short, tragic life of Modigliani’s mistress, Jeanne Hébuterne, becomes an obsession and before she knows it, she has enrolled on a creative writing course, is writing about a fictional Jeanne and mixing with the literati. I work to support you as you develop a writing life that is engaging, sustainable and productive. Learn about my Coaching and Mentoring Services for ongoing support of your writing. I also offer Literary Consultancy for tailored manuscript assessment. Become a subscriber and receive Jacqui's free ebook Get Black on White: 30 Days to Productivity and Confidence for writers.